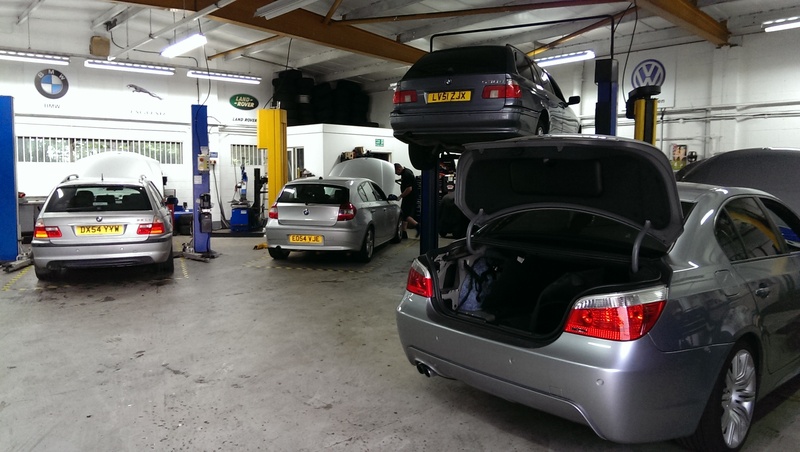 BMW OWNERS CHOICE If you own a BMW that needs Servicing or needs to go to a garage for repair then you will probably be looking for an Independant BMW Specialist. 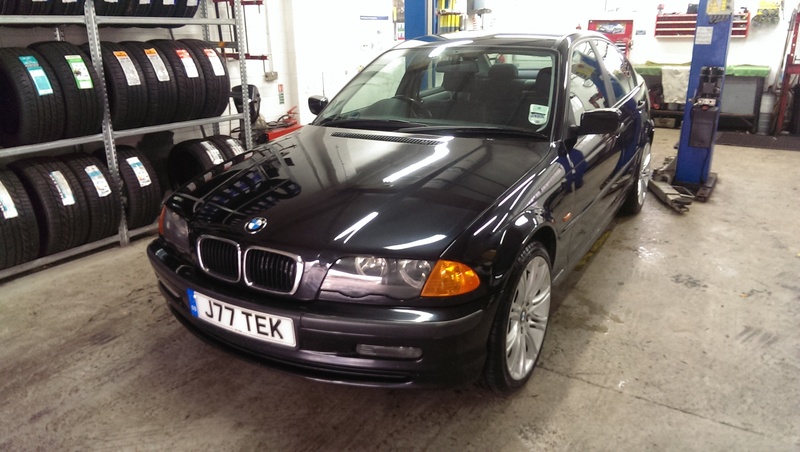 Here at M-Tek we have trained Technicians that have over 24 Years experience working on BMW`s. We can carry out any Servicing or repair work to the very highest standard using the most up to date diagnostic equipment. TYRES AT COMPETITIVE PRICES !!!! We can supply and fit all makes of tyres at very competitive prices [we will try to match or beat any quote you may have been given] Around 100 tyres are kept in stock at any time but any size or make we can get usually within a couple of hours.Here at M-tek the tyre fitting and balancing equipment is state of the art to allow us to fit the latest runflat tyres up to 24"in diameter. 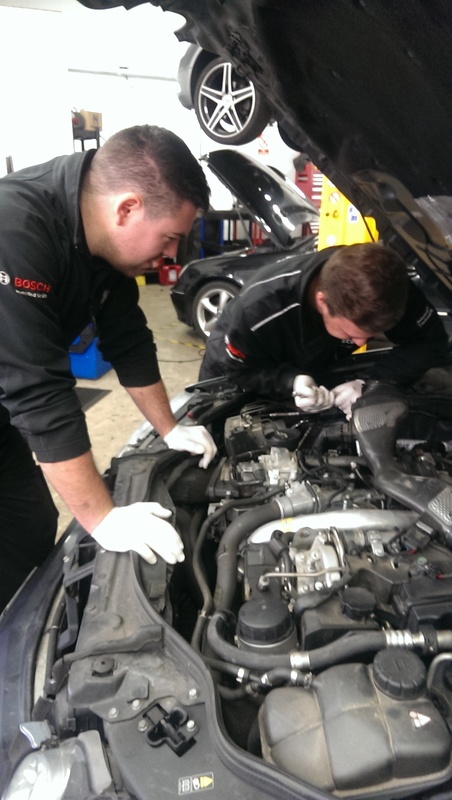 AUTOMOTIVE TECHNOLOGY As a garage specialising in diagnostic work and auto-electronics we have invested heavily in the very latest Diagnostic equipment. This helps us diagnose problems quicker and more cost effectively which in turn saves you the customer money.We are constantly updating our equipment to keep up with the ever increasing complexity of the modern motor vehicle. 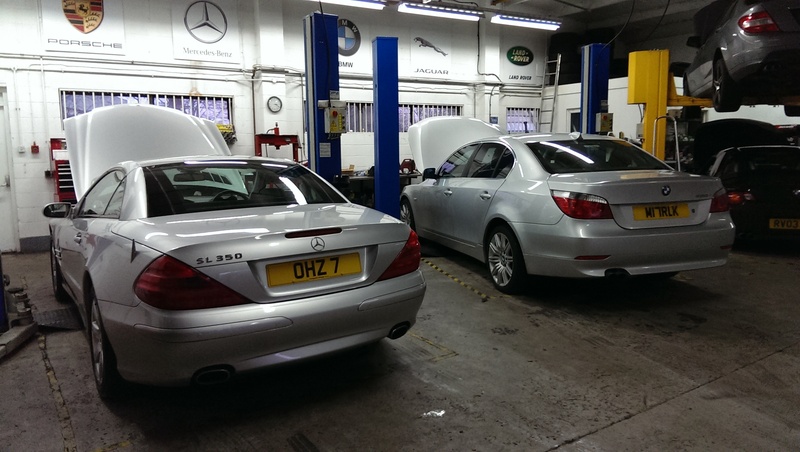 Here at M-Tek we also carry out Servicing and Diagnostic work on many other makes of vehicle especially Mercedes Benz and Audi which we have Dealer level diagnostic equipment for, so whether you need a cambelt replaced on your Audi A8 or an Air suspension problem with your SL500 Mercedes give us a ring and we will be only too pleased to help you get it sorted. We can collect and deliver your car from anywhere in the Northampton area. 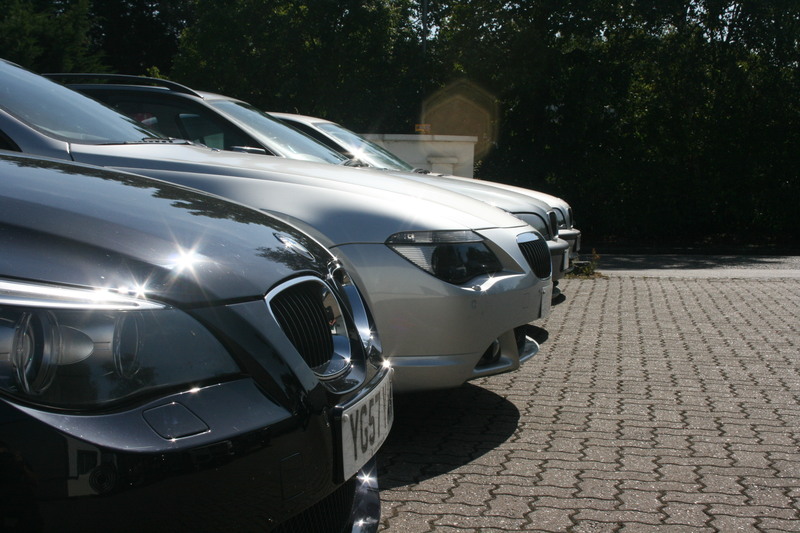 We also have four Courtesy vehicles if you require transport while your car is being repaired [ these can be pre-booked ] There is a spacious waiting area if you would like to wait for your car to be repaired, or if you work or live locally we will happily give you a lift to your destination. Air conditioning systems can be serviced or regassed on site with our Advanced Air conditioning equipment which can regas a full system in less than an hour. We can also MOT your vehicle and carry out any repairs on site. If you have a diesel vehicle with running problems we can remove, service and overhaul your injectors for you or sort out any other performance related issues. We also have a lot of experience with Turbo replacement and rectifying the likely causes of failure. Performance upgrades are also available for most BMW`s and Mercedes especially diesel variants which again we can do here on site. Even if you have a warning light come up on your dash and your not sure what it relates to, please give us a quick ring. We will be happy to help you. We have been in Northampton for over 10 years now and pride ourselves on quality of workmanship and being a friendly local garage. If you have any questions regarding your car, then please do not hesitate to call us on 01604 700440 and ask to speak to either Ian or Richard. We will be more than happy to try and answer them. If you are looking for independant reviews, type in mtek northampton in Google Search and you will see several. We look forward to hearing from you soon.